Quality Air Heating and Air Conditioning > Articles > Air Conditioning > Why Are Air Conditioning Power Levels So Vital? Why Are Air Conditioning Power Levels So Vital? Air conditioners are a vital part of daily life in the summertime, and without one, your home is going to feel like an oven. We get a lot of air conditioner replacement calls this time of year: giving homeowners a chance to get rid of old, failing air conditioners before the hot weather starts. If you’re in the market for a new air conditioner, congratulations! Now is the best time to exchange your worn system for a newer and more efficient one. When considering which new air conditioner to install, pay careful attention to the power levels: the unit’s overall energy output which determines its cooling power. Finding the right levels for your home may be trickier than you think, which is why you should always relay on a qualified technician to help you out. The Goldilocks Rule is a handy short-hand to explain the power level needs for your new system: neither too small nor too large but just right. You can probably guess that an underpowered air conditioner simply won’t do. It will run constantly all day and never really get your home cool: costing you a great deal in monthly energy bills and worn components without doing the job. You may be surprised to learn, however, that overpowered air conditioners are almost as problematic. 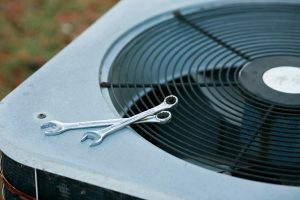 Air conditioning systems use much more power turning on and turning off than they do simply running, to say nothing of the wear and tear on individual components involved. When the system is overpowered, it engages in a process known as short cycling: turning off after only a few minutes, only to turn on again shortly thereafter as the hot weather warms the house again. That can cost you untold amounts in wasted energy, as well as subjecting the system to unwelcome wear and tear. The ideal system for your home sits between those two extremes: running for at least 15 minutes at a time and ensuring maximum efficiency for the energy used. A home with more insulation will retain cool air better than one without, and thus doesn’t need as powerful an air conditioner. That includes things like double-paned windows and weather stripping as well as formal insulation in your walls. Sunlight Exposure. Large windows that allow a lot of sunlight in – especially those with a western view – can warm your home a great deal. A more powerful unit may be required in such circumstances. Kitchen Size. Because kitchen use often entails a great deal of heat when you cook or use the stove, it can alter the equations slightly, and may require a more powerful air conditioner to compensate. Proper evaluation of the home from a trained technician means you’ll get the new air conditioner that is precisely sized for you. 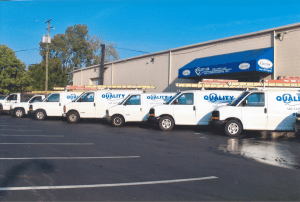 To install a new air conditioner in your Columbus, OH home, contact the pros at Quality Air Heating and Air Conditioning!